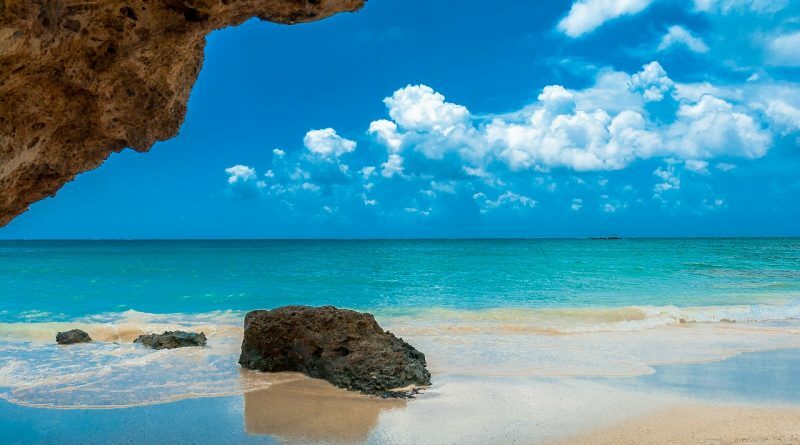 Many people dream of a Crete holiday; seeing the birthplace of Zeus or the maze built for the Minotaur, enjoying the beautiful beaches, and taking road trips to inland gems. Here are the most useful tips for visiting Crete on how to make the most of your trip to Crete and transform it into a special memory. There are a few options depending on how you like the weather to be, what activities you want to enjoy, and your available budget. 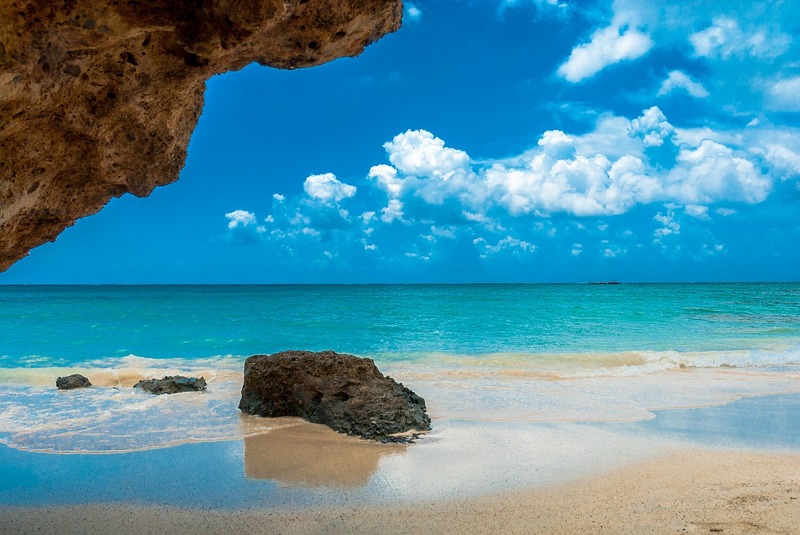 In what the weather is concerned, the best time to visit Crete is from May to June and from mid-August to September. The weather is hot – but not too hot. During July and first half of August the temperatures are really high. In terms of things to do in Crete, if you like water-related activities, then you can go from May to September (keeping in mind the variation of temperature.) If you are interested in Crete sightseeing, you can go off season – April (even late March), May, October, and early November. Budget wise, it’s obviously cheaper to go off-season. This means October and November or even April. It’s not very cold in Crete and you get cheaper accommodation. Plus, there are fewer tourists, meaning fewer crowds everywhere. You can still find wonderful things to do in Crete offseason. For instance, you can choose to visit while a festival takes place. Or you can go late spring – to admire Crete in bloom. In November you can enjoy the olive and pomegranate harvest. There are a few ways to travel around in Crete. If you go there with organized tours, you won’t have to worry about the means of transportation, obviously. But if you like to plan your trip and be free to explore when and what you want, then here are some useful things to know about transportation in Crete. There are buses – regular services in the north and from north to south. There are also some local buses – for smaller areas. Buy your tickets before getting into the bus and make sure you hold on to them as they’ll be checked along the way. If you want more freedom though and like to travel independent (plus have enough room for as much luggage as you want and be sure you have a window seat), then you can think of renting a car in Crete. When we travel and plan to visit multiple places, especially if we don’t know the connections, if we’ll want to stay more in a given area, as we don’t like to be on a tight schedule, we prefer to rent a car. What we learned from multiple times renting cars is that you need to know what you want from a car – automatic or manual, size, etc. – so that everything goes smoother and faster. So try to think about renting a car in advance – we always rent a car even before getting into that given place as we know for sure it won’t be an issue to find the car we want. The food in Crete is tasty, simple, fresh, and will make you fall in love with Crete – and Greece. From salads to snails and gyros, you can find almost anything you want here. I say almost, because the beef meat isn’t very popular as you won’t see cows here (they can’t really adapt to the terrain). However, you’ll see goats and sheep, so don’t worry, everything is covered. Gyros – famous not only in Crete, but across the globe, I’d say. It’s made of pork, chicken or even vegetarian and with the tzatziki sauce – not to miss. Moussaka – this is a must-try dish while in Crete (or Greece); an eggplant or potato-based dish with ground meat. It’s so good and popular that you’ll actually encounter this in many other countries as well, but here you can taste the original. Crete salads and Crete cheese – the Cretan salad is a lot like the Greek salad – only the type of cheese is different. As for the cheese, there are several types of Cretan cheeses, so make sure you taste them all. Desserts: Loukoumades (fried dough served with nuts, honey, and ice cream) and the famous Greek yogurt with nuts and honey. Drink: don’t miss the local Raki (grapes-based alcoholic beverage) – famous in Crete. What to see in Crete? There are so many wonderful places to visit in Crete. All of them will enchant you! 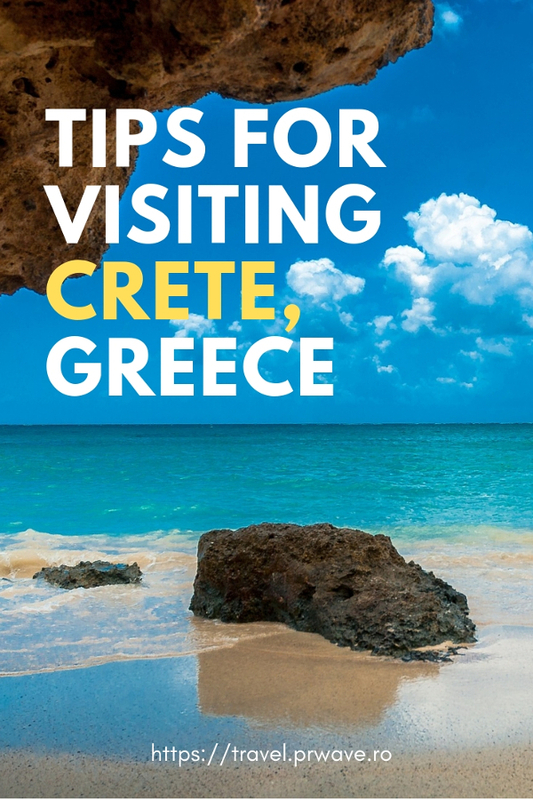 Here are some more useful tips for your visit to Crete. If you like beaches, going to the North and North West Crete will be a perfect solution as you’ll be close to the most famous beaches. 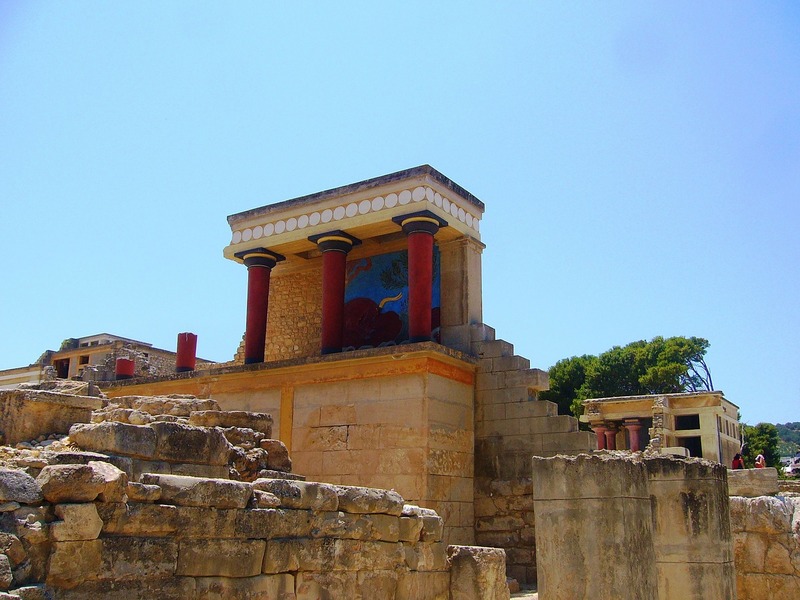 If you like to combine relaxation with learning more about Crete, then your Crete itinerary should include a visit to Heraklion (with its famous Archaeological Museum, Knossos – the largest Bronze Age archaeological site, and Archanes and its Cretan History Museum). You can also add Chania to your Crete bucket list with its well preserved old town and enchanting views. Chania is also a great base for exploring Crete as it’s close to many of the famous sights in Crete. Kissamoss is another must-visit – even if only for the fact that it’s the closest town to the famous Balos and Elafonissi Beach. Don’t forget about Samaria Gorge, a UNESCO World Heritage Site in Crete, Greece. There are many other wonderful places to visit in Crete, but these are perfect for a first visit in Crete. Crete is safe to visit and it’s no surprise that people from many countries come here in their honeymoon or holiday. 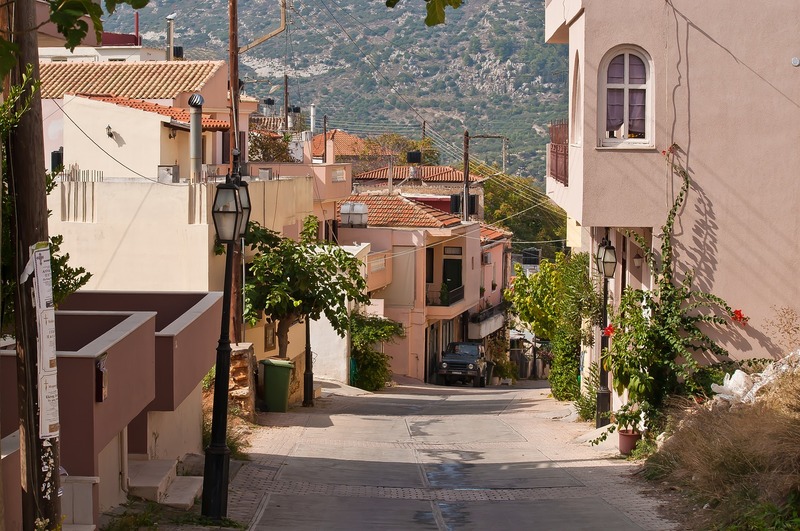 Here are a few more useful things to know before visiting Crete. It’s better to change money at a bank. Prepare to see a lot of olive oil. A lot. It’s said that there are 1,5 million olive trees here, so obviously this oil is used intensively. Distances are big – so don’t plan to see a lot in a very short period of time. Go further away from the beach in order to discover amazing villages. Interact with the locals and you’ll learn a lot about Crete’s history, mythology, and you’ll get recommendations on the best places to visit in a given area! You should leave a tip in Crete. Also, the appetizers that you’ll receive on the table are not always free, however, you may receive complimentary fruits or desserts at restaurants. Crete has many accommodation options, so no matter your preferred lifestyle and budget, you’ll find something perfect. From AirBnb to fancy hotels, from hostels to affordable accommodation, you just need to be clear on what you want and you’ll find it. 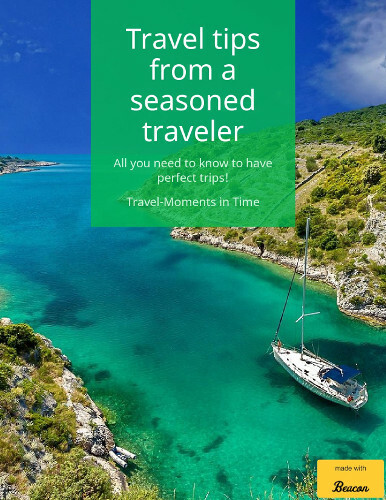 I hope these tips for visiting Crete will help you plan your perfect Crete trip! Make sure you use them all so that you make the most of your trip to Crete.